It’s likely that quite a few video game fans are looking forward to Marvel vs Capcom: Infinite, the upcoming fighting game by Japanese company Capcom. After all, Capcom sure knows how to make good fighting games, as they have proved with their Street Fighter series over the years. 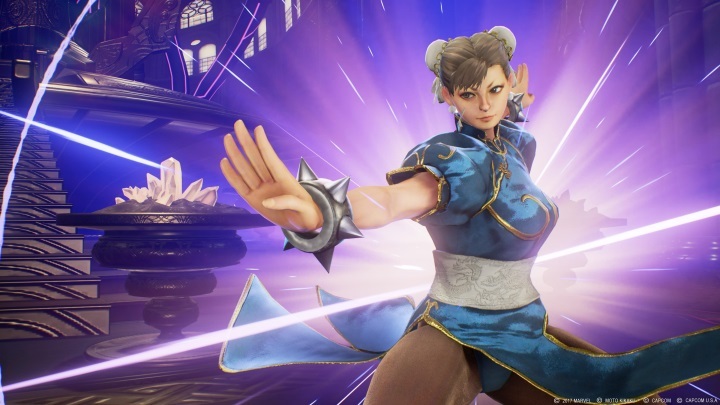 It’s clear that Marvel vs Capcom is its own thing, though, as this series features characters from both the Marvel universe such as Hulk and Thor, and also characters Street Fighter vets will be familiar with such as Chun-Li and Ryu. This also has a focus on tag team battles, with players being able to enjoy two on two fights in the upcoming Marvel vs Capcom: Infinite, a game that’s slated for release in September this year. And Capcom has already revealed the different editions of the game that will go on sale this fall, with the game’s flagship Collector’s Edition being the highlight of the lot. This will be priced at $199.99 in the US, and is only available for PS4 and Xbox One. 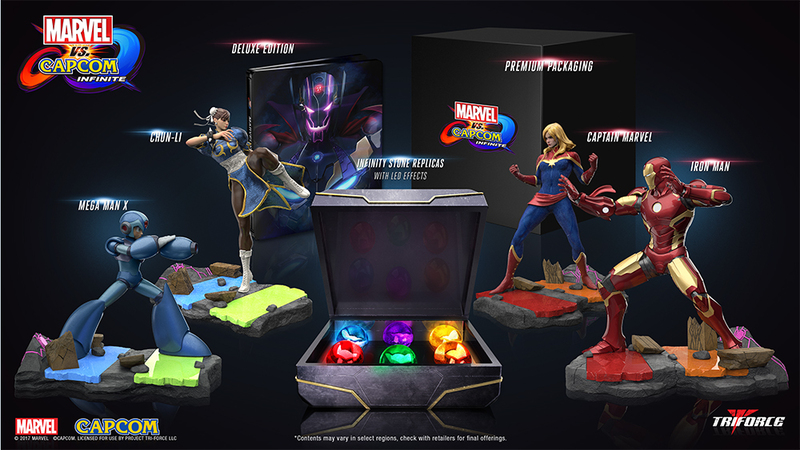 The Collector’s Edition includes statues of four of the game’s characters: Iron Man, Captain Marvel, Mega Man X and Chun Li, which will add a nice decorative touch to any room without a doubt. Additionally, this also features a steelbook case containing the Deluxe Edition of the game. This includes a “character pass”, which will give you access to six additional characters which will be added to the game post-launch. Amongst these is Sigma, who’s the game’s main antagonist together with the villainous Ultron. And this all comes in premium packaging that will surely delight those who love big video game boxes, without a doubt. Plus pre-ordering this edition of the game in North America will also get you the following in-game costumes: Warrior Thor, Evil Ryu, Gladiator Hulk and Mega Man Command Mission X. But regardless of whether you decide to pick up this Collector’s Edition (which will only be available in limited quantities) it’s clear that Marvel vs Capcom: Infinite surely is one of the most promising games hitting shelves this year, and one to watch out for fans of Capcom fighting games no doubt. Note: Marvel vs Capcom: Infinite will be released on September 19, 2017. Available on PS4, Xbox One and PC.